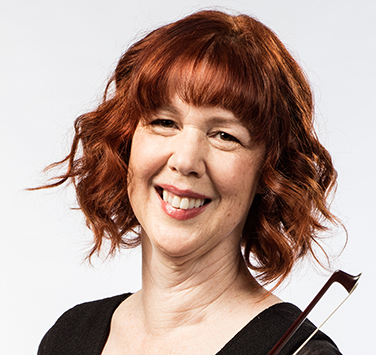 Karen has been a member of Symphony Nova Scotia since 1985, and a member of the Charlottetown Festival Orchestra in Prince Edward Island since 2000. She is also active as a chamber musician and violin teacher, and has been a regular coach with the Nova Scotia Youth Orchestra for several years. A graduate of McGill University, Karen pursued studies in both modern and baroque violin. She was a founding member of McGill’s first Collegium, performing on period instruments, and is a past member of the Studio de Musique Ancienne de Montreal. Karen is also a founding member of both Réjouissance and Tempest, two Nova Scotian ensembles specializing in early music performance on period instruments, and has recorded for CBC Radio 2 both locally and nationally.